Enjoy the benefits of 16 wholegrains but with a smooth texture! Savourez les avantages de 16 grains entiers avec une texture fine! Thanks to Family Rated and Dempsters, I #gotitfree. I was able to try Dumpsters 12 Grain Bread, it was great. 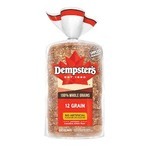 Love the variety of Dumpsters Multi Grain Breads to choose from. Everyone in the family loved the bread. It has become a favorite of ours. True to it word... the bread is smooth in texture which is good because the kiddo doesn't like the "bumpy" breads I usually buy. thanks. That was awesome I really loved it. Not only me but also my family also loved it very much. The sandwiches made from that bread were appreciated by my nosy food picker children. 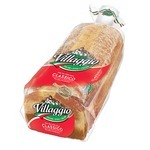 I'm not a huge bread person, but loved this brand. 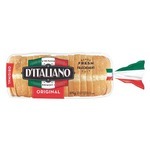 The bread made a nice sandwich and my entire household raved over this brand! Hope to see if there are other flavour combinations made available. I’m usually not a huge fan of multigrain bread but was surprisingly happy with this one! Great flavour and ingredients. Very good value too, it’ll continue to be one of my regular purchases! This is very simple bread. Good for any sandwiches, also good for toast with your favorite jam!!! The price is okay. I hope I can find cheaper one one day!!! Great bread! Would buy again! 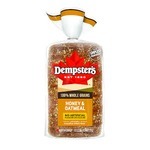 Dempster’s “smooth multigrains” bread surpassed my expectations. It remained soft and fresh tasting up until the best before date. It toasted up nicely and was a great alternative to regular brown breads. I loved the flavour when making sandwiches, which included turkey, lettuce and tomatoes. I felt healthy and full after treating myself to it.